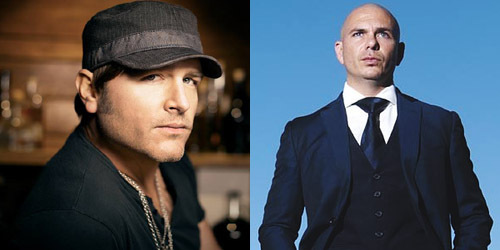 Now that “Wild Wild Love” has seen the last of its love on the pop airwaves, rapper Pitbull is making his way to the Wild Wild West along with singer/songwriter Jerrod Niemann. The 34-year-old performer from Kansas recently scored his second #1 on the Country survey with this for two weeks, a far different sound from his first chart-topper, 2010’s “Lover, Lover”. With the recent trend of so-called “Bro Country” and all the criticism hurled towards it, perhaps this song isn’t the worst offender of all, but it’s certainly seen its share of disparagers. Label Sea Gayle/Arista failed to cross “Lover” to Hot AC radio four years ago… can Mr. Worldwide guide Judge Jerrod through the dog eat dog world that awaits them on these outlets? With digital sales surging and spins on a dozen (mostly Southern) stations to date, this “Night” is looking notable. Well, they’ve done it! 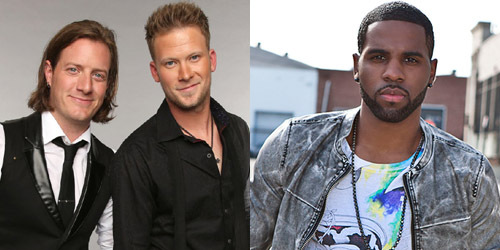 Over on the Mediabase chart, “Roll” just topped the list for a week, marking five number one singles in a row at Country radio for the duo of Tyler Hubbard and Brian Kelley since their debut release “Cruise”. Of course, that single weathered a pop run in a remix with Nelly, took on a second chart life and forever complicated the history of what is now Billboard’s Hot Country Songs survey. (There’s already been enough said about that heated issue.) So, now the two men are out to prove that lightning does strike twice with this rerelease. This story started over the weekend when Derulo posted this on Instagram with a caption referring the title, along with the hashtags “#comingsoon” and “#countrymusic”. I guess there’s no reason to believe it could lead to anything else. You know what to do with this idea… Giggle, giggle, giggle. Two songs making the jump is significant enough for the early summer months, but we may not be done entirely. A single like Dan + Shay‘s recent release “19 You + Me” has enough crossover potential in it, while Luke Bryan‘s new #1 on the Country chart, “Play It Again”, is already receiving some unsolicited play at Hot AC radio. We’ll see what happens! For now, you can let me know what you think about these records on the range by commenting below or click the “Get Social!” tab to find PGTC on social media.